To keep me focused on my work and to gather a collection of things that inspire me I decided to make a new blog, next to this one. The plan is to post something every day, be it a photo, a short piece of text or something that inspires me that I ran into. I hope I’ll manage but I’ll give it a shot. I know it’s not the most original idea I’ve come up with but everything has been done once already anyway right ?! This blog will stay around for the same reason it has been around: sharing information and experiences. I hope you like it!! It’s still to be completely finished but it’s around for sure! 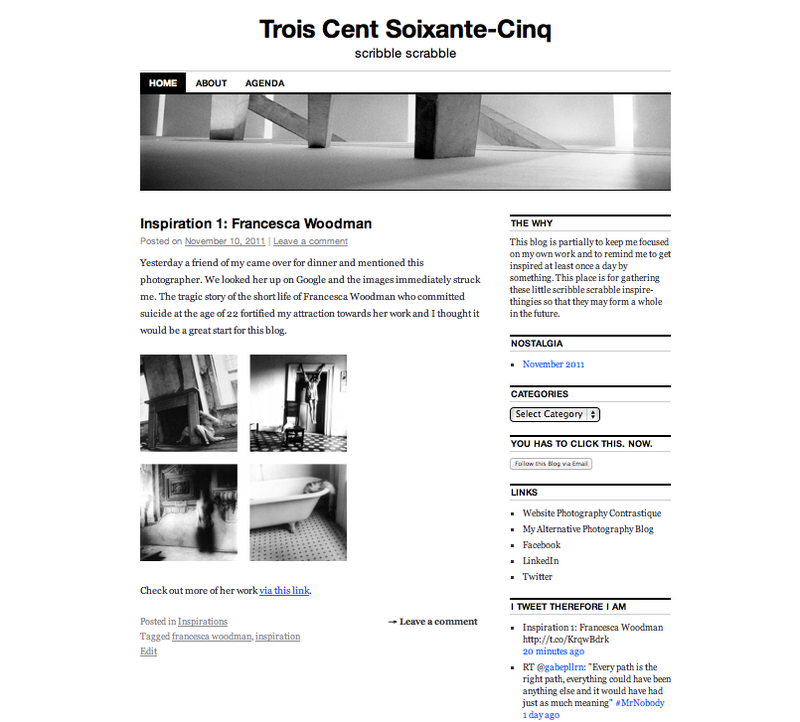 This entry was posted on November 10, 2011 by Contrastique. It was filed under Miscellaneous and was tagged with Blog, troiscentsoixantecing.